I have been a Phase One user since 2007 when I bought my first digital back (a P20+) for a Hasselblad V series camera. I had initially been lent a P20 back for a trip to the Isles of Harris and Lewis off the West coast of Scotland and loved the experience of converting this old manual camera into a 21st century tool. But to be totally honest I had no intention of investing in more kit (limited funds and not a lack of interest being the reason). However, when I returned from Scotland I worked on the images, produced some large prints and I was blown away by the tonal range and the detail. I had expected the quality from this 16Mp back to be on a par with my DSLR of the time, the Canon 1Ds MkII, but it far exceeded anything I’d got from the Canon. I showed the prints to some pro photographer friends of mine and they agreed – the images from the Phase One back were outstanding. I was hooked! I’ve since sold all my DSLR gear and have gone completely mirrorless. I’ve subsequently upgraded to a Phase One P45+ back and an Alpa TC technical camera. 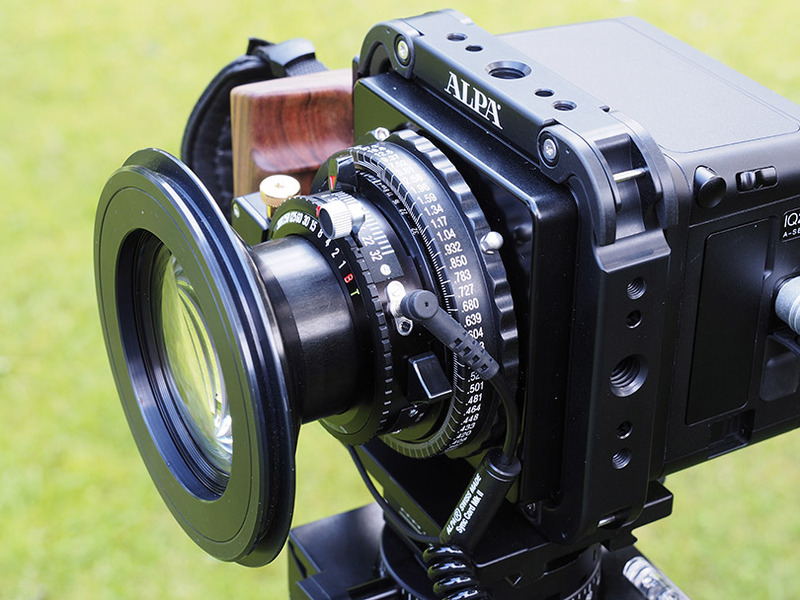 The Alpa is an incredibly well made modular system where the basic ‘body’ can be married with a range of lenses, backs (digital & film) and other accessories to produce a customised camera made to a precision standard. I use this outfit alongside a Micro Four Thirds (MFTs) system based on Olympus OMDs and the range of Olympus prime and pro zoom lenses. I find these two systems be a perfect complement to each other. If I need extreme wide angle or long telephoto lenses then the Olympus gives me those options; if the weather is particularly inclement then the sealed cameras and bodies allow me to work in conditions where I would be more reluctant to use the Alpa; if I need to work handheld then the Olympus comes out of the bag. And if keeping weight to an absolute minimum is essential then that is much easier with the MFTs system. 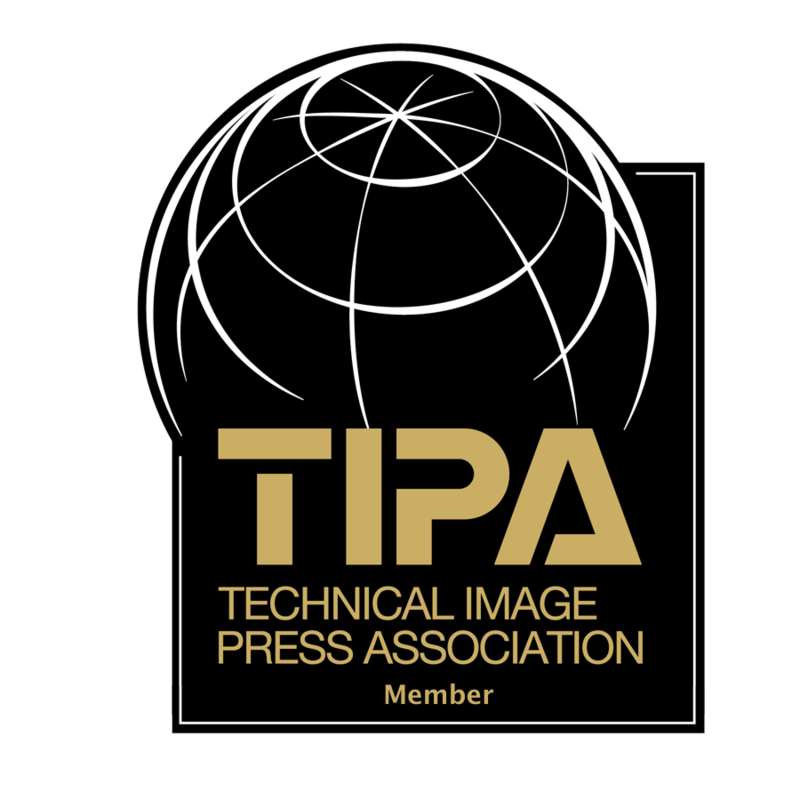 Both the Alpa TC and the P45+ were significant investments and I frequently get asked, ‘Why? 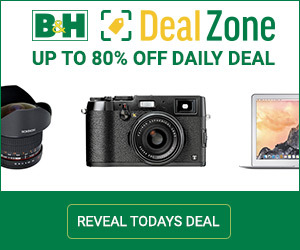 What do you get from this combination that you can’t get from a much cheaper, high end DSLR?’. Firstly – it’s about image quality. The large, high dynamic range files can be significantly cropped, pushed quite hard in post processing and still retain a unique quality that I’ve yet to get from any DSLR file. 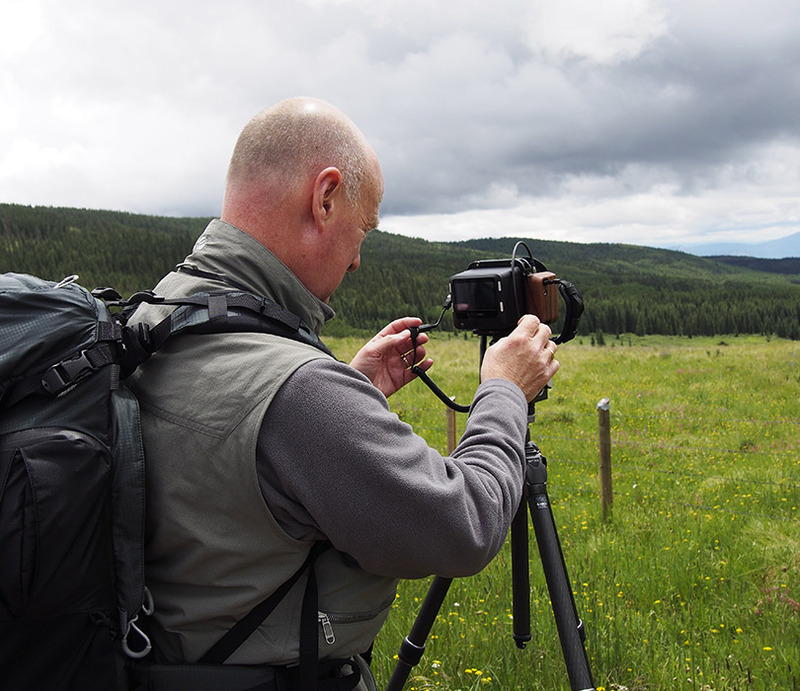 For the type of photography I do (primarily landscape photography with the camera firmly mounted on a tripod) a DSLR offers no advantages. And the level of fine detail possible in huge prints from the large pixels on the medium format sized sensor is still mind blowing after all these years. Secondly the small size and relatively light weight of the Alpa TC, Schneider lenses and Phase One back combo makes it much easier for me to get my kit on a plane as hand luggage and then to carry it around all day once on location. But equally as important to me is the way of working that this combination encourages. It’s a slow, methodical process to set the camera up as there’s no viewfinder (and no live view with the P series backs), no inbuilt metering or autofocus. It encourages a thoughtful, almost meditative approach to landscape photography that really suits the way I like to work and I have found this leads me to produce images that I find far more satisfying. 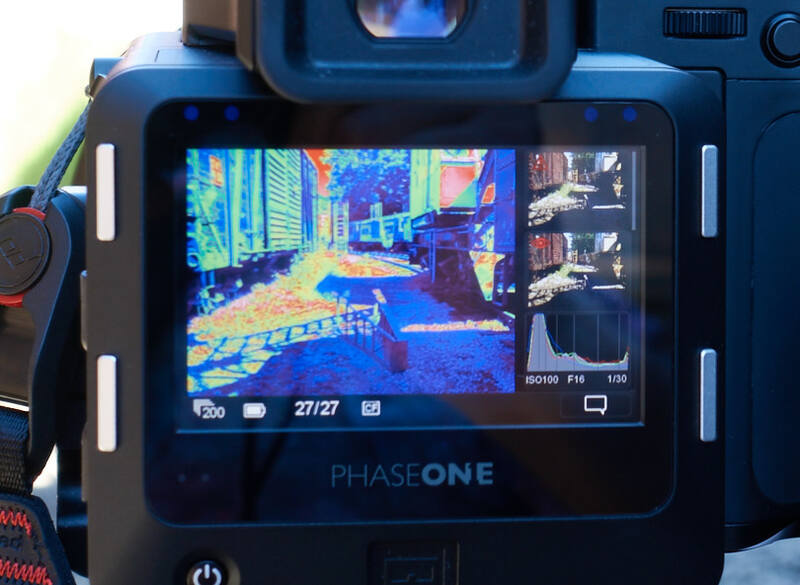 In November 2014 Phase One launched their A-series camera. Basically this is an Alpa TC coupled with an IQ back. 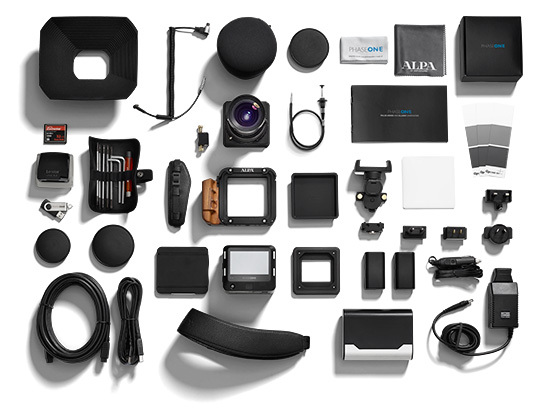 Each individual camera and back come set up to ensure the highest possible quality output from each unique combination. Each digital back also has built in factory set lens calibrations for three Rodenstock lenses – the Alpagon f5.6 23mm, the Alpar f4 35mm and Alpagon f5.6 75mm. 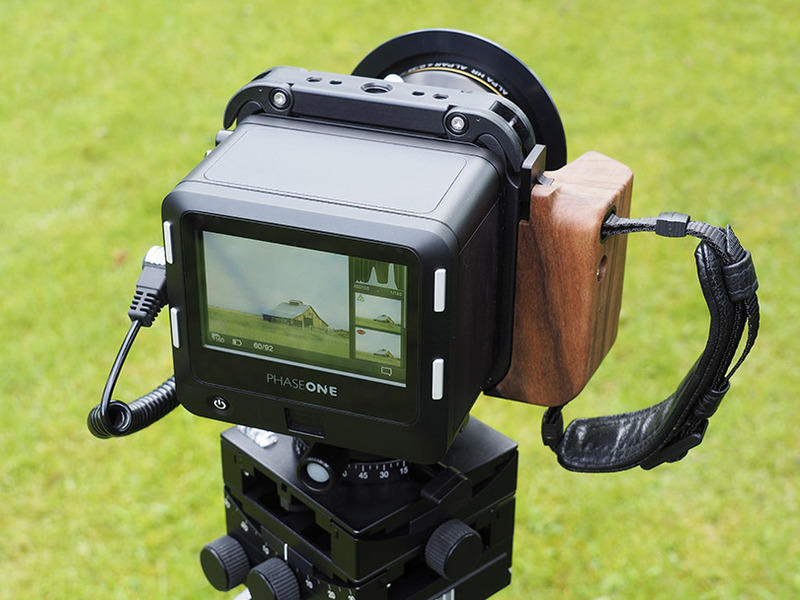 It’s effectively bespoke camera manufacture taken to the nth degree. Clip Warning – this masks the clipped highlights in a different colour to ensure all the detail is captured with no ‘blown’ highlights. 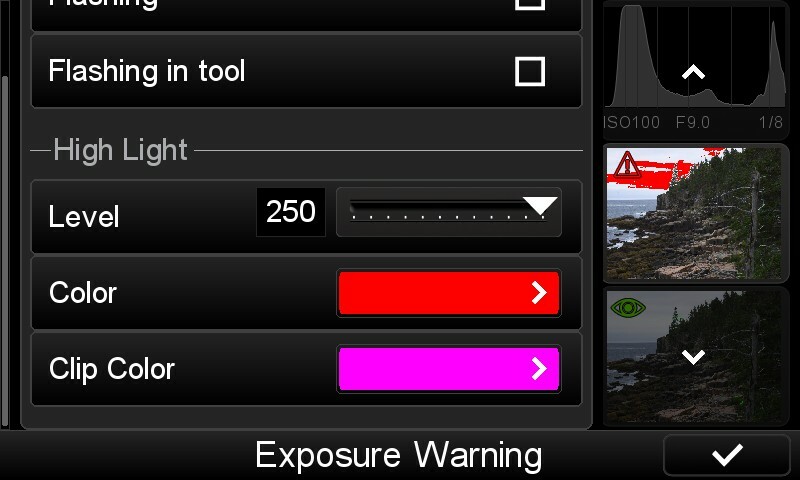 Importantly both the Exposure Zone Tool and the Clip Warning are based on the RAW data and not a processed preview. The A-series comes supplied with camera, lens (or lenses depending on configuration), an IQ back and an extensive array of accessories e.g. batteries for the back, charger, card & card reader, leather straps, cable release, lens cloths etc [See Photo Above]. 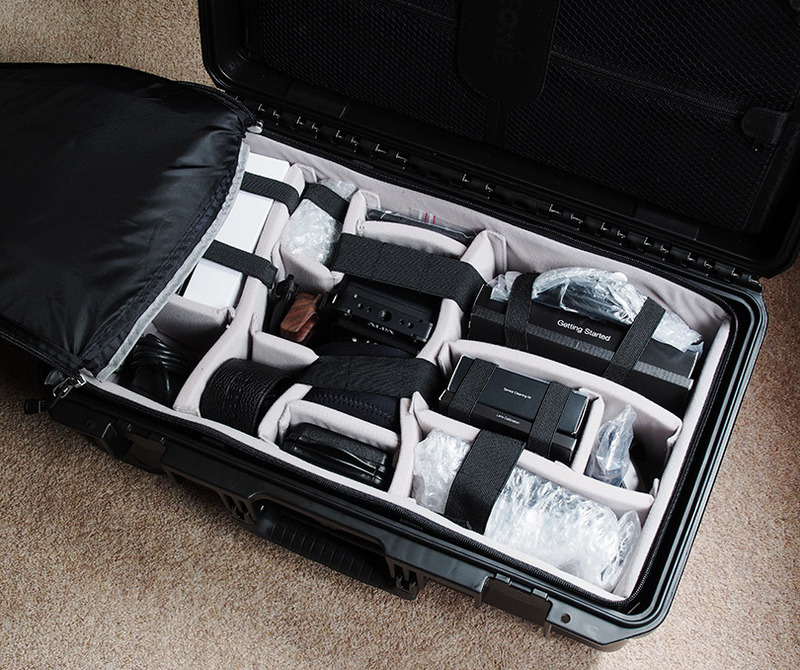 In true Phase One fashion the attention to detail in what is included and the packing of everything in a solid Pelicase leaves nothing to be desired. As an existing Phase One/Alpa user I was asked by Phase One to try out the A-series and to give my unbiased view on how it performed in use. This is my review based on a few months of use in both the UK and the USA (on a 3 week trip to Colorado). It’s very much written from a users perspective i.e. it’s not a technical review and I won’t get into pixel peeping. I’m interested in cameras & lenses as real world tools not as subjects in scientific experiments. I knew the camera well from my own use over the last 4 years and the basic operation of the IQ back took only a few minutes to familiarise myself with. 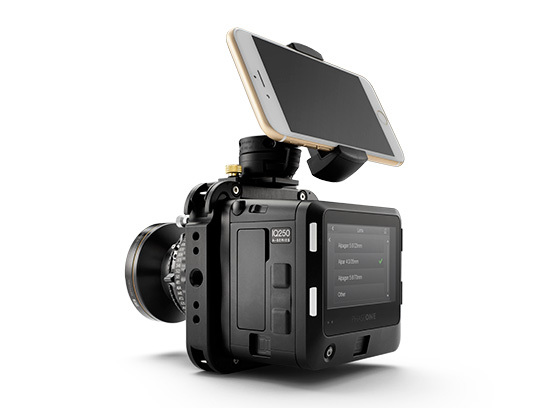 -a smartphone holder to attach a device to the top of the camera (this is used in conjunction with Capture Pilot, synced with Live View on the IQ back, so the image can be previewed with accuracy ). I was keen to see how the A-series would perform in the field – would I really find a lot of difference compared to my existing set up? To find out I ventured into the Yorkshire Dales – a location I know well as the Dales are close to where I live. Choosing a familiar location meant I could concentrate on using the system rather than hunting for shots. The first and very significant difference was the ease of use due to the IQ back’s functionality (e.g. intuitive menu system, touchscreen capabilities) and the effective live view offered by the CMOS chip. 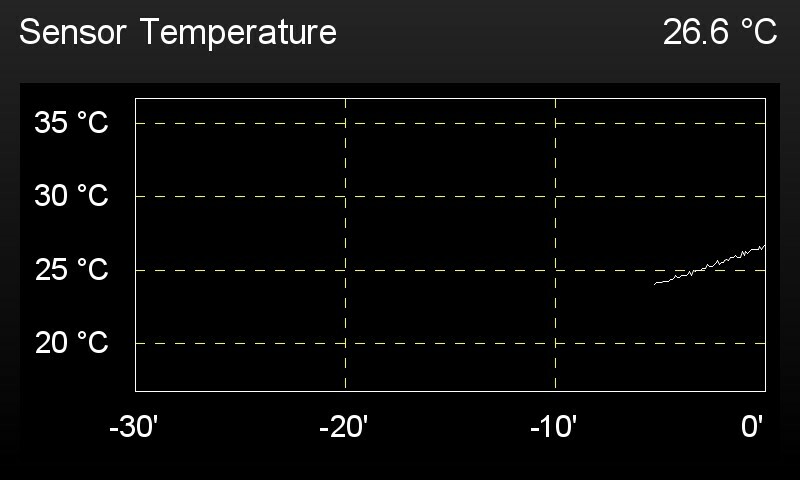 As much as I enjoy the process of setting up my existing system there are times (in rapidly changing light & weather conditions for example) when I need to work extremely quickly and my Alpa TC/P45+ combination is not ideal for this. In contrast, using the A-series I was able to get the camera from my backpack, onto the tripod and ready to shoot in a fraction of the time. In fact, not much slower than using my Olympus cameras. Most significant in achieving this was the live view capability. Switching live view on meant I could compose the shot with precision and as quickly as using a DSLR. This was so much faster than the iterative process I normally employ i.e. use my iPhone & Alpa app to get the basic composition, take a shot, review it, move the camera to refine the composition, take another shot etc etc. I was also able to use live view to zoom in on the image to check focusing and depth of field (although I found the supplied Alpa High Precision Focussing Ring to be so accurate that I could rely on this and just double check for accuracy when reviewing the image in playback mode). In general the whole picture making process was enhanced by the impressive quality of the 3.2″ retina touchscreen (which also has the capability to zoom in to 100% with a simple tap on the screen). Speed of operation was also improved by a relatively small (but also expensive) accessory – the Alpa synch cable; no more missed shots because I’ve forgotten to wake up the digital back! One of the key criteria for me when choosing a camera is how well it performs at long exposures. 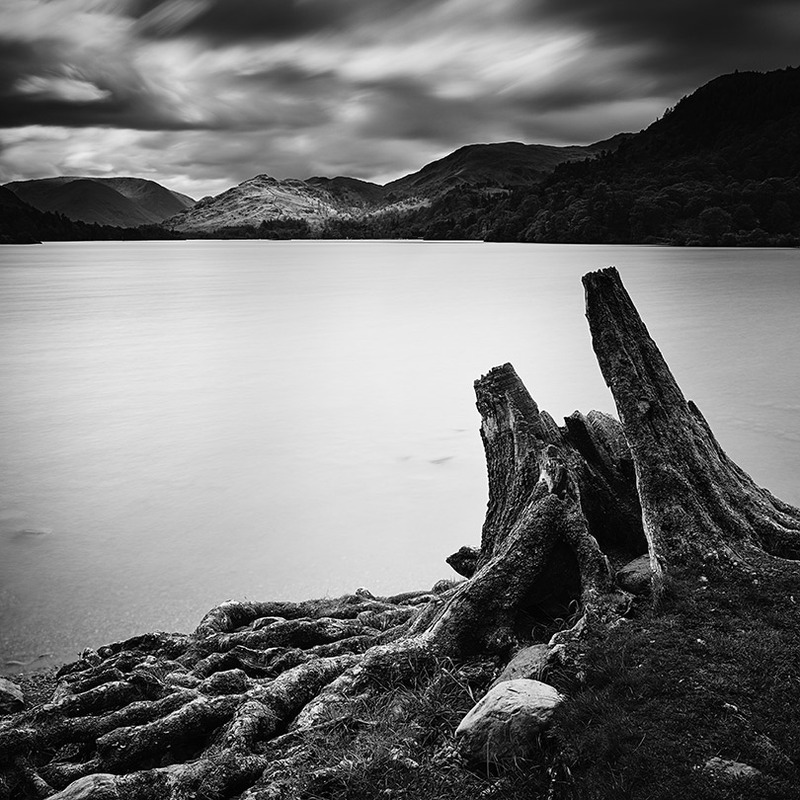 Long exposure images appeal to me because they can capture the dynamic nature of the landscape – static elements (like trees, buildings, fence posts, rocks for example) can be contrasted against moving features like water or windblown clouds & foliage during an exposure of several seconds or minutes. 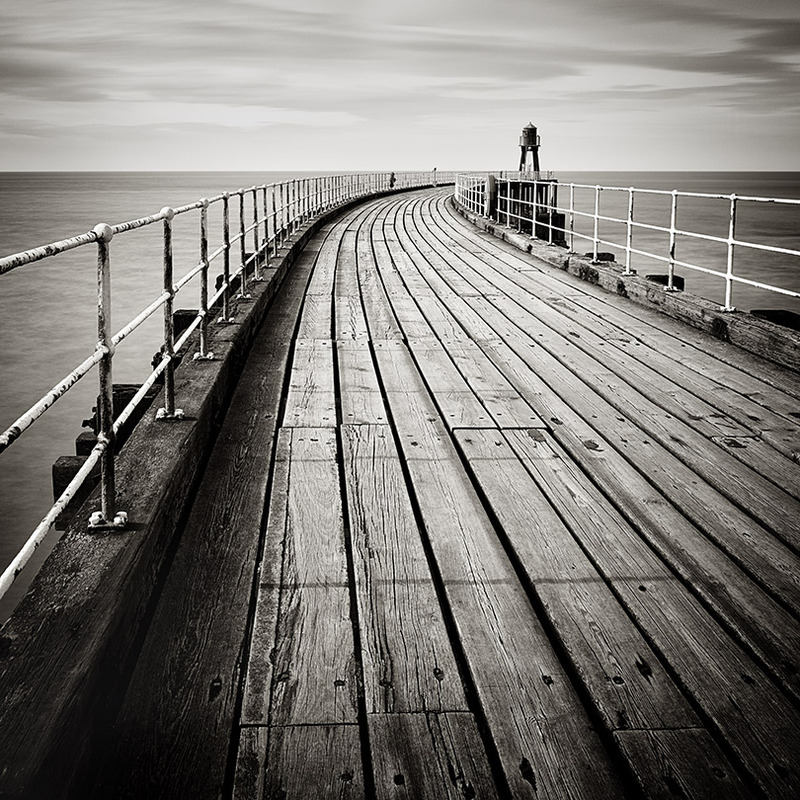 Used appropriately the technique can create ethereal, moody images that transform a relatively mundane seen into an evocative photograph. I’m pleased to say that the IQ back I was sent by Phase One was capable of doing a one hour exposure (I think the longest I’ve shot digitally is around 10 minutes) and in my tests it performed admirably. Noise was never an issue and the full tonal range of the scene was captured on the sensor. 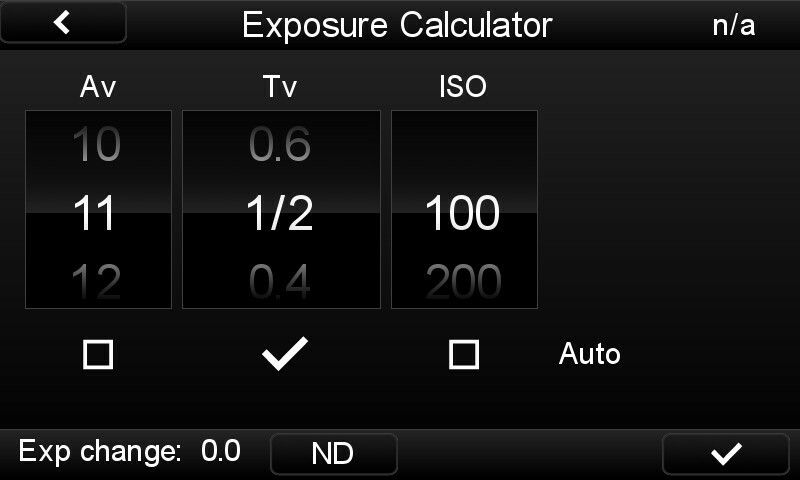 A great tool for the long exposure enthusiast. Overall, image quality exceeded my expectations. I’m very used to the incredible standard of photographs that my Alpa and Phase One back can produce. With the precision matching of lens, camera and back of the A-series this leads to an extremely detailed image out of the camera with a quality that even the untrained eye can spot when the image is enlarged to 100% on the computer screen. And one noticeable improvement over my P45+ back is the high ISO performance of the IQ back. I didn’t push it to its limit but I’m assured by Phase One that image quality up to ISO6400 is on a par with the best any DSLR can offer. I don’t think anyone interested in producing the highest quality files will be disappointed with the Phase One A-series. Every single aspect of the camera is engineered to the nth degree with image quality in mind. Not speed or convenience. Not price or versatility. Image quality and only image quality. Of course that comes at a cost. The set up I was loaned by Phase One sells for around $47k – that’s one hell of an investment for anyone. But many working pros can justify the expense in terms of business benefits and the ability to offset the cost against tax. And for the wealthy enthusiast looking to take total control of their image making and to produce photographs with a wonderful level of tonality and detail the A-series will undoubtedly reward. I did ask Phase One if the price could be reduced by cutting down on the accessories in the kit or offering them as optional extras. 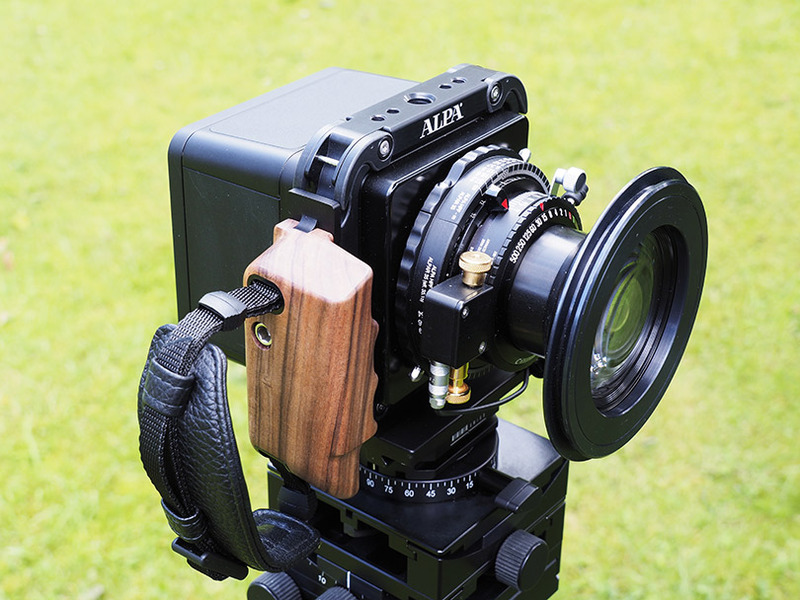 For example, with an effective live view I didn’t use the smartphone holder at all and the rosewood handle with the leather strap was something I could do without as I always use the Alpa on a tripod. But I was assured by the company that the accessories were effectively added into the kit cost free to offer a complete and comprehensive package with guaranteed quality control to any purchaser. And the whole kit is covered by a full 5 year guarantee (and this probably says a lot about their confidence in the quality of the whole system). Of course it’s not a camera designed to be a one stop solution. If sports photography is your interest or you are a fashion photographer then there are probably better options out there for you. But if your interests are in fine art, landscape or architectural photography then, in my experience, there’s no better tool for the job. In conclusion I really enjoyed the more fluid operating process brought about by the refinements of the A-series. Rarely in photography are there ‘win/wins’ (often some sort of compromise is involved) but with the A-series I felt I got the best of both worlds – the speed of operation of a DSLR combined with the methodical way of working and of course the fantastic image quality from a high end digital back. A much photographed location and for good reason. The graphic design of the walls and barns make for a good image – I composed this shot to make the most of the zig-zagging lines of the walls and the curving lines of the barns through the frame. But to lift it above the ordinary something different, special was required. On this particular occasion I was gifted some wonderful, dappled light creating patterns of light & shade through the image. I waited until all the barn roofs were lit before firing the shutter. I was luck to get early access to this bridge – arriving at 5.30am well before the park opened to the public. 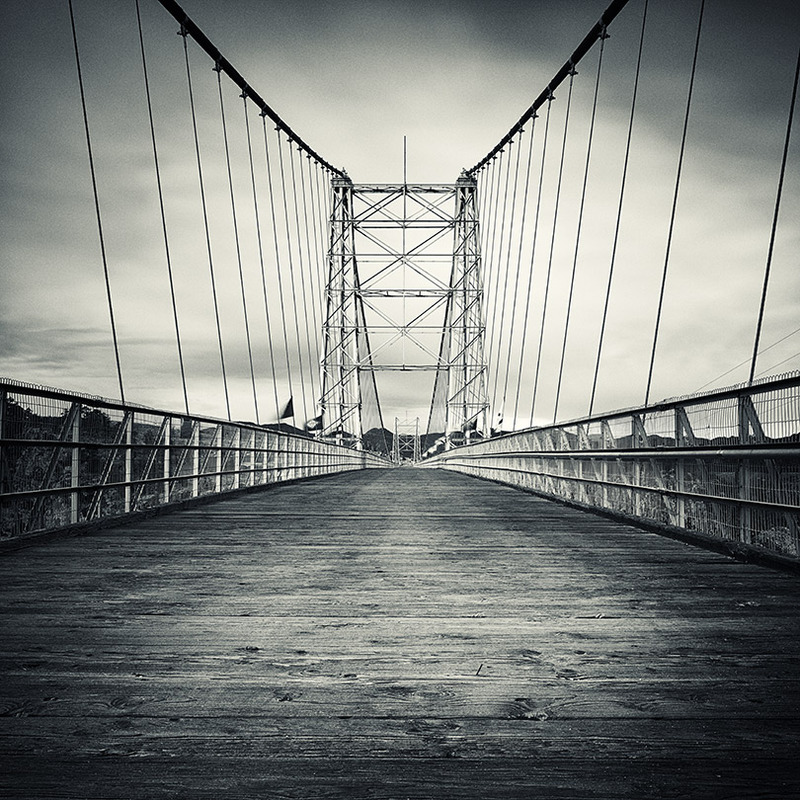 This enabled me to get a shot of the bridge without the distraction (and the vibration) of other people walking across. I decided to go for a simple graphic composition, getting down low to make the most of the receding lines and the texture on the wooden planks. A pre-dawn start was rewarded by some fantastic early morning light, side lighting the rocks and accentuating their warm colours against the sky. I fitted two ND grad filters (0.9 and 0.6 soft) to balance out the exposure for the sky and the foreground in shade. Later I used the colour selection tool in Capture One v9 to create a mask for the sky which enabled me to bring back all the detail. I also produced a B&W version (sometimes you get lucky and get two shots for the price of one!). I love the textures on the rocks in this version and the contrast between light & shade. The removal of colour also accentuates the timeless (Jurassic Park?) feel I was after. 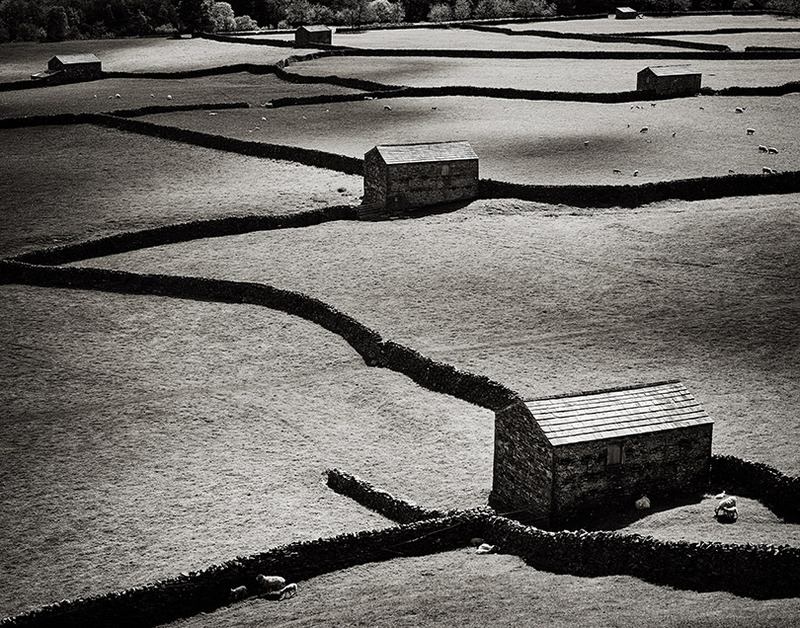 A very typical Yorkshire Dales scene taken early in the summer (hence the rich greens in the colour version). It’s the dappled light taking the viewers eye down the dale that makes the photograph for me. 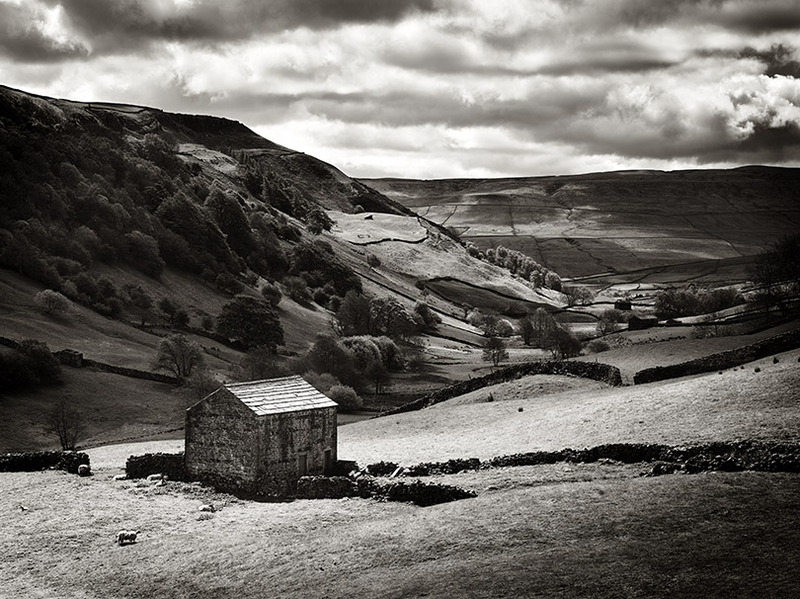 I waited for the foreground barn to be kissed by the light, set against the shaded far side of the dale to give the shot a three dimensional feel. 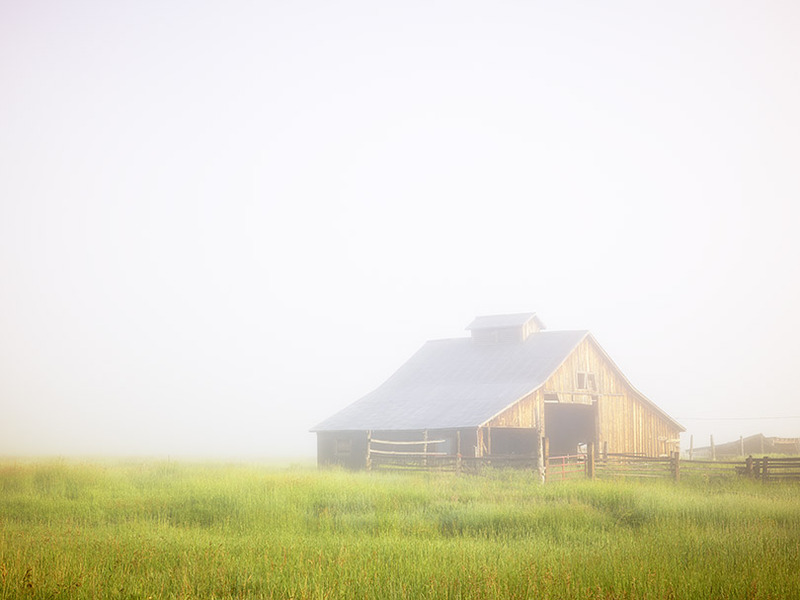 After an early start to catch the dawn light the fog rolled in (I was told this was unusual in Colorado in July) totally surrounding this barn which, as an Englishman, I felt was so typically an American structure. Timing was crucial – I wanted the barn enveloped in mist but enough warm, early morning light to be creeping through to illuminate it. I set the camera on my tripod and waited for around an hour as the light changed and the fog came & went. I find the A-series encourages a more patient, methodical approach (which is why I love using it). 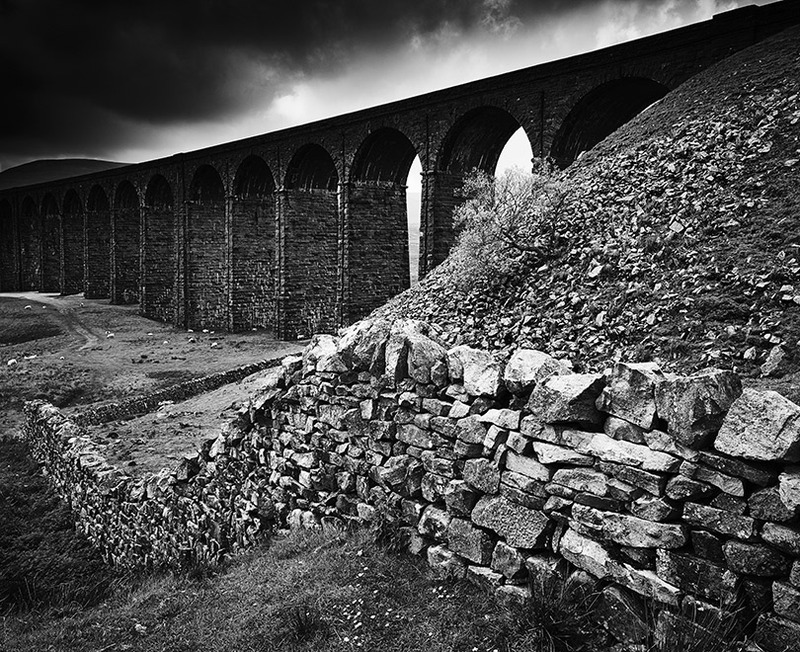 This railway viaduct, built in the 19th century is located in a remote, harsh environment in the Yorkshire Dales. It’s a location that bears the brunt of the unforgiving weather and one can only imagine what it must have felt like to work there, erecting the viaduct in these conditions. I photographed it on a day when bands of rain were constantly sweeping in followed by bursts of light and then more rain. I hope the image captures how it felt to be there on that day. I composed the shot using the line of the wall and the viaduct to move the viewer through the frame. Getting adequate foreground to background depth of field was important so the Live View feature of the IQ250 and the precise focussing scale on the lens were invaluable to enable me to check the accuracy of my settings. 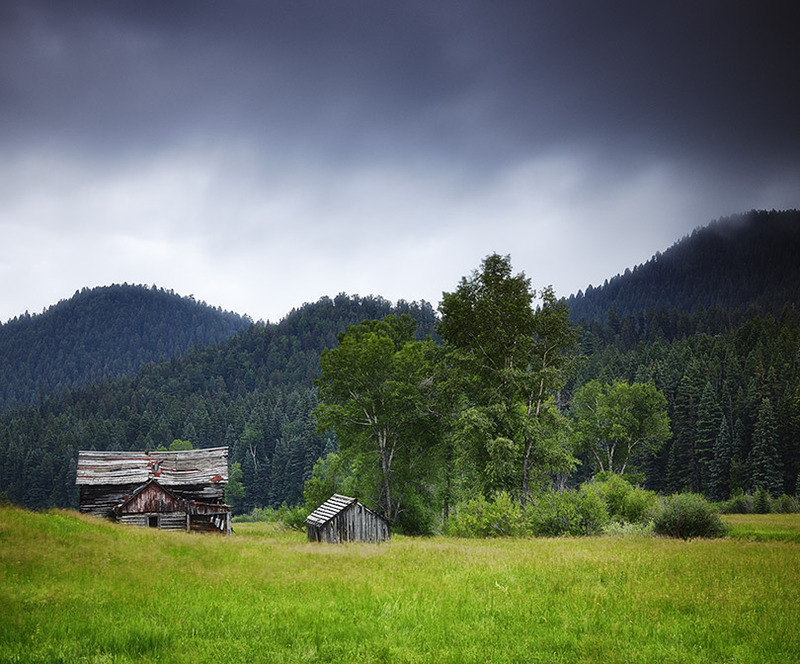 On the drive to Bishops Castle we spotted this old farmstead at the side of the road nestled next to a clump of trees and I had to stop to take a shot (sad I know but it made me think of ‘The Little House on the Prairie’!). The soft light, the colours, the textures on the wooden buildings and the rain clouds passing over all combined to give me the shot I was after. It’s an image that benefits from being printed very large so I was grateful to be able to shoot it on the A-series with the IQ250 knowing that I would have the detail and the resolution necessary to make that huge print. I had seen the potential to take this photograph, set the camera up and then the heavens opened. I beat a hasty retreat with the camera back to the shelter of our vehicle. Several minutes later I ventured out again. The approaching clouds told me another heavy burst of rain was on its way so I had to work fast to get my shot. I was relieved to have the A-Series/IQ back with its Live View feature as this makes setting the camera up a relatively speedy process when circumstances necessitate. I managed to fire off a couple of frames before the rain returned. I loved the textures of the rocks in the foreground and the lines leading to the two large rocks so I composed in vertical format to make the most of those characteristics. One of the advantages of the A-series is the speed in which the back can be switched from horizontal to portrait format requiring only the unlocking of two levers. 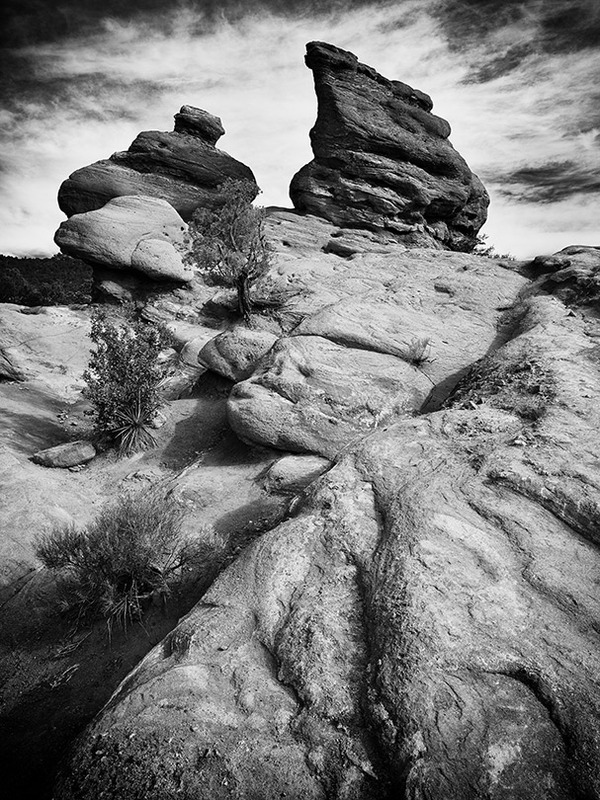 I waited until the two large, darker rocks were set against the white clouds behind before taking my shot. I have a philosophy to my landscape photography that is usually more true in the UK than in the USA – if I haven’t got wet then I probably haven’t got a good photograph. 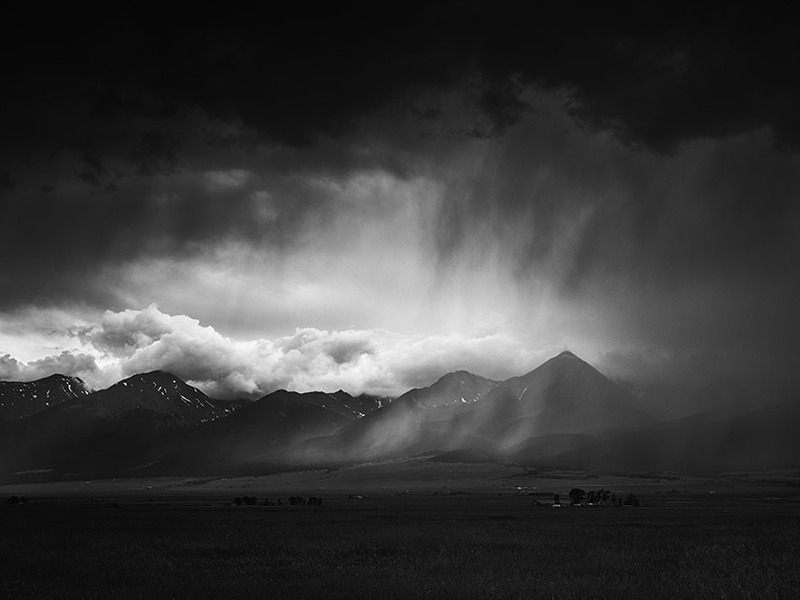 This is because I like to work on the edge of weather systems – when rain is moving in or away dramatic light and atmospheric conditions usually are the result. Looking out of our hotel window early one evening I saw the storm clouds developing over the mountains. 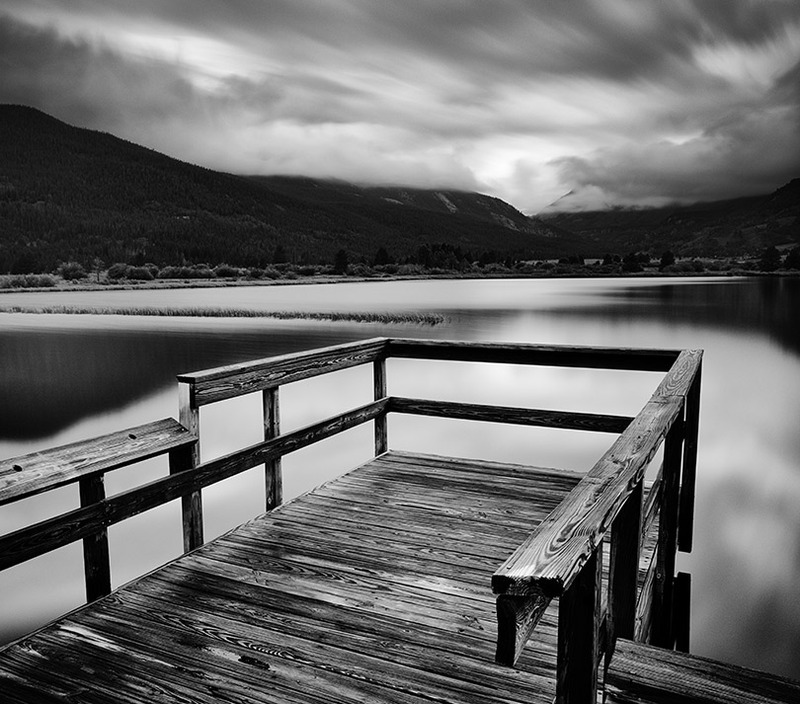 I grabbed my bag & tripod, jumped in the car and headed towards the approaching storm. This is another occasion where the A-series and IQ back enabled me to work quickly enough to get my shot and back to the vehicle just before the rains reached me. On seeing the resulting image I was glad that I had made the effort. This was one of my first photographs taken with the A-series and I took it primarily as a test to see how precise I could be in fine tuning my composition using Live View and then checking with the zoom facility of the IQ back. Compositionally I felt it was important to keep the lines of both railings below the horizon and also prevent the top of the right hand side railing from cutting across the bottom of the light at the end of the pier. I’m pleased to say the process was made a whole lot easier using this combination than with my P45+ back. I always think this tree stump and its spreading roots have a prehistoric feel to them. 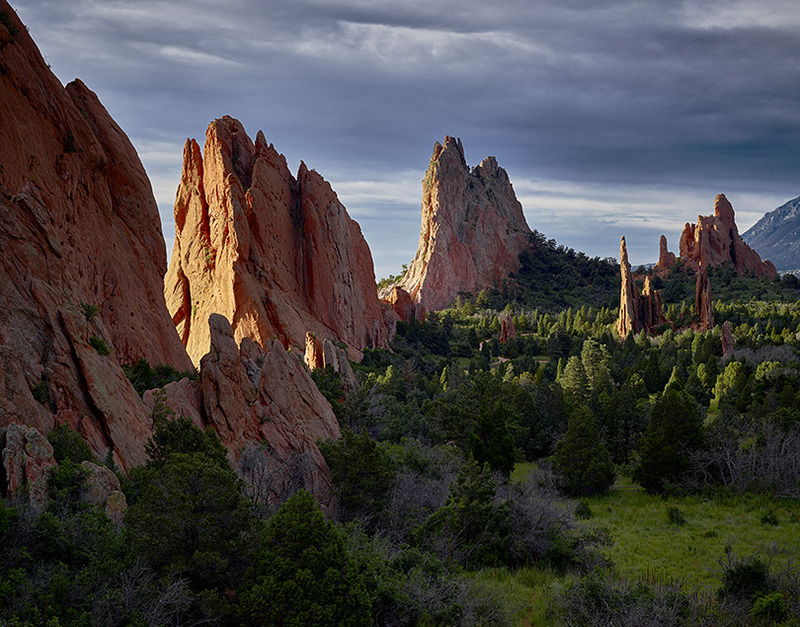 The weather conditions on this day suited this view – dark scudding clouds with small patches of light illuminating the landscape in the distance both helped to recreate a sense of the elemental nature of the scene. I fitted a 10 stop neutral density filter to give me the long exposure I wanted to record the windblown clouds. Quite often I take exposures of 30-60 seconds or longer and the wonderful feature of the IQ250 back is that it can easily handle exposures of this length and retain superb image quality (it’s maximum exposure length is one hour but I’ve not pushed it that far – yet! ).